Don't Drink the Koolaid, but Drink the Lemonade? Testriding a Very Yellow Brompton! We stopped by Harris Cyclery today to pick up some components and I swear I had absolutely no intention to test-ride a Brompton. I mean, the Bromptons have been occupying a large corner of the shop since the first time we visited Harris - and I have always resisted them. But today? Well, today was a very hot day. And this lemon-yellow Brompton just looked so darn refreshing. So I will blame it on heatstroke. Here is an "aerial" view. This is the 2-speed model with upright handlebars and Brooks saddle. 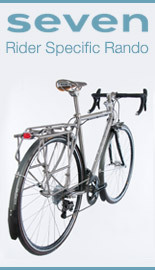 The bikes come in many versions, and options include dynamo lighting, titanium parts, mountain or trekking handlebars, and about a dozen colour choices. To be honest, I was initially apprehensive about trying this bike - having heard from some women that it feels "twitchy" to ride and difficult to control. But his charming demeanor won me over, and I gave it a try - first adjusting the saddle to a comfortable height, which was fairly easy with the quick release lever. There was no one around to take a picture of my test ride, so you will have to take my word for it. To me, the bike did not really feel difficult to control in the course of the short ride. The braking power was excellent, the steering responsive but not twitchy, the pedals wide and grippy. The handlebars just the right height and I was in a position that was pretty much upright. And of course, the Brompton was easy to mount and dismount. My one and only problem was with the angles of the handlebar grips. They put my hands into the "mountain bike bar" position, with my fists straight in front of me - a no-no for the damaged nerves in my hands. I hear that it is possible to attach extensions to the grips that would place my hands into the "North-roads" position, and so that is what I would do if I were to actually get a Brompton. 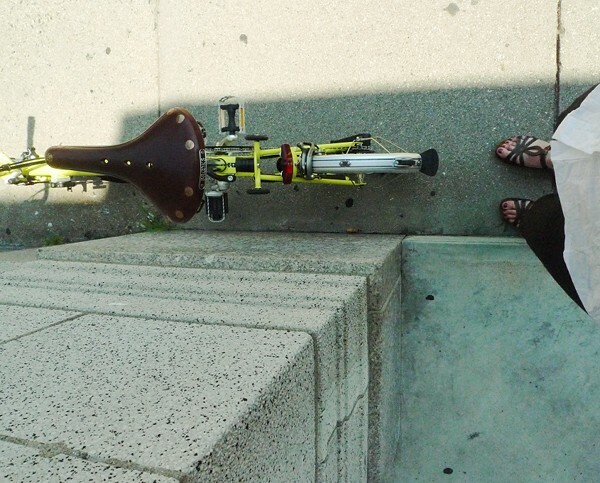 Have any of the Brompton owners out there done this? As for the looks and construction of the bikes, I think the cuteness and technical ingenuity of the Brompton is fairly well known at this point, so I will not bother repeating it all. But what you don't always notice in the industry reviews are the charming details - like this handsome lugged flat-top fork crown. 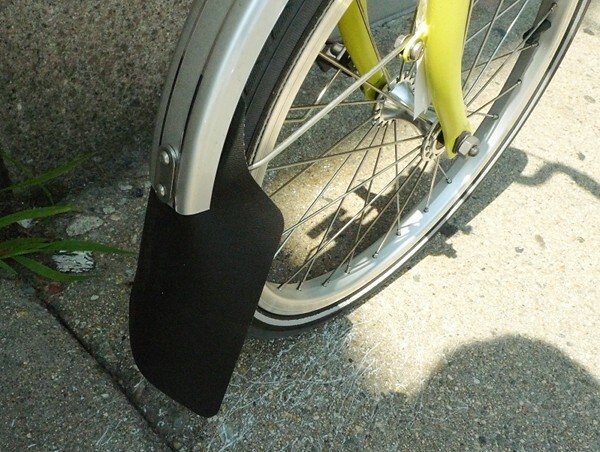 ...and this miniature mud flap! 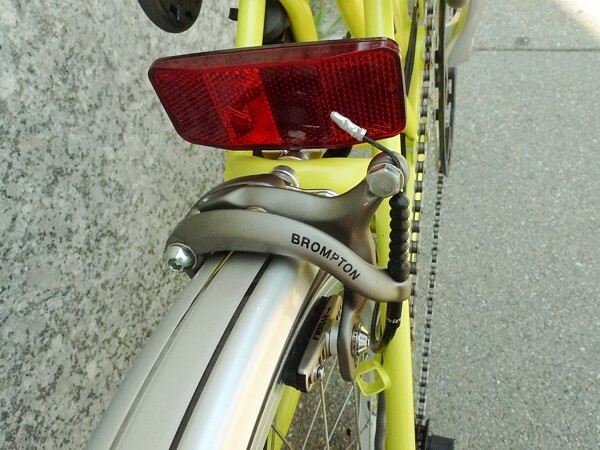 Another interesting detail about the Bromptons, is that they use a lot of proprietary components - the Brompton name is stamped on the brakes, pedals, and other parts. But the most striking thing of all, is the attitude of the Harris Cyclery staff towards Bromptons. They are crazy about them, and it seems that most of them have one. Jon Harris (pictured above) and his wife both ride them. It is clear that the shop stands behind this manufacturer 100%. I realise that I keep neglecting the folding aspects of the bike and all the technical specs - but come on, we all know that it folds, and it is supposed to be the best folding bike out there. What I wanted to focus on more, was my personal impression - especially as I have noticed that women seem to be intimidated by these bikes and tend to choose Dahon and Bike Friday folding bikes instead. Personally, I have tried both Dahon, Bike Friday, and a few other folders, and none of them have ever "spoken" to me. Despite the fact that I travel a lot and could really use a folding bike, I've just never been attracted to folders and have never wanted one. Having finally tried the Brompton, I am having second thoughts. OK, that's funny. I think folders are really just trendy, ridiculously ugly little ways to steal the hard earned cash from people with bike problems....and today, whilst browsing around a local shop while the Baker shopped for new tires and B1 for a new bell, I found myself touching them with a curiousity that was shameful and borderline immoral. I fought the temptation because, I said to myself (said out loud really) if you ride it, you will want one. To which one of the bike dudes responded, "Yes, you will." That's the thing ... for bike junkies like ourselves, the Brompton lets you always have your bike with you. Well, not always, but close enough. The ability to walk out of your office (or store, or pub, etc) wheeling a wee package and have it magically transform into such a sprightly, delightful ride is addictive. Speaking of women, a cornflower-blue Brompton has been making my wife more excited about riding than several other rides we've tried. I thought it was a horrible indulgence for us to get them, even off Craigslist, but they have become our favorite all-round city and commuting bikes. I actually ride it all the time as just a commuter bike in Toronto and it is a smooth ride, although clearly it can't hold as much as a bigger bike (although I once carried groceries home on the front and bungied a foot stool to the back on the way back from the second hand store, so it will take a load, it just looks ridiculous). But in Canada there aren't many places I want to fold up a bike and take it with me on the train or bus, so it spends most of it's life unfolded. Because it's a folder, and thus has lots of pieces, I'm constantly stressed someone will steal some part of it. When I travel for real, I don't have the space to pack a bike along, even though it is tiny, I usually need 2 bags. Here in Tokyo, the fold up would be great for day trips out of the city on the train, as train culture here makes bike/train/bike more likely. However, my fold up didn't make the luggage cut. So I have even considered buying a second fold up for while I am here, but that seems ludicrous really. There are LOADS of fold up on the street here, and they make a fairly good dense urban area bike. But no one ever folds them up, it was just a fad. As much as they are light and foldable, they become quickly a pain for everyday commuting as far as folding time and carrying weight. So what I am really saying is, I think while I love the way they look, for most people they aren't that practical. For some of us, they would make a good weekend trip bike, but really only if you have a car, or use appropriate rail. But it's worth really evaluating how and when you would travel with it, rather than just thinking "oh, what a great travel bike". MandG is right, you will want one if you ride one, but you might never use it like you envision it. and also the small wheel bianchi road bikes. I don't need one, but logic never made me stop desiring things. hehe - step away from the Bromptons! thats the rolls royce of the folding bikes, its really a small parcel after folding and such a fast bike!! and rides like a normal 28", cause the frame is long an stable. Brompton has been on my short list for quite a while. AFAIK they are the ONLY 16" wheeled folding bike that can be configured to fit someone who is over 6' tall with long legs. Harris will be getting a visit from me in mid August! 2000+ miles on my Brompton and fitting different grips to improve the wrist position is the only upgrade I've made. I use these: http://www.sjscycles.co.uk/product-Ergon-Ergon-GP1-S-Anatomic-Grips-Gripshift--Small-14785.htm and highly recommend them. One thing to be aware of when upgrading things on a Brompton is that some changes may actually impede the fold of the bike. Others don't but, in the case of handlebars/grips, may create protrusions that catch on things and/or make the fold unacceptably wide. I'm reading this post as we pack for a trip to the Oregon Coast... two of my three Raleigh Twenties are now safely stowed in the back of our van (along with three boys, my wife and I and a ton of other junk). I have clearly "drank the Koolaid" on the folding bike thing, but like many others here, I don't really fold them. I have many other bikes (Raleigh Tourist DL-1; Faggin, Mercier and Surly roadbikes) but I seem to turn to the folders when its time to get to work or pop up to the store. I think it may be why people like to parachute, base jump and fly hang gliders versus getting in a plane... the "vehicle" just becomes part of you and you experience the real feeling of flying. With folders being so small, yet efficient in their ride, I kind of forget they are there and just experience the joy of moving down the road in the open. My bigger bikes have never felt that way. @dokinchan... I rode a Dahon folder for about 6 months and although I liked the ride I rarely folded the bike, so all in all any small wheeled bike would have given the same experience. The Brompton is completely different, I fold it all the time! The fold takes about 10 seconds and I am able to take the bike everywhere, into the supermarket (it fits in a trolley), into my work (it fits in a cupboard), into the pub (it fits under the table). I never lock it, I just take it with me, it is easy to carry and stable when folded. @LB... I ride my Brompton most days and it is my main bike, I have put in about 1000 miles on it and agree with you that the ride is fast and stable. The main reason I love this bike is the way I can take it everywhere. For me it is not the bike/car/train thing as I have no car and rarely travel by train, it is the way I can go anywhere and know my bike is safe and not locked up outside. I also love the front luggage rack, it's a must for any Brompton owner. Go on LB become a Bromptonaut, you will not regret it. When I asked about them at Broadway, the guys working there all smiled and told me that the typical Brompton seeker is a "very informed consumer" and that they "really sell themselves." I have no reason to have one or want one.... but they're awfully hard to resist! 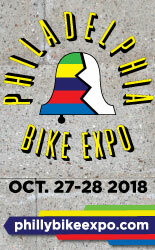 The couple that owns my favorite local bike shop each have a Brompton- hers is set up as a tourer/commuter, and his is configured as a road bike. They ride theirs about 30% of the time, and they both have some *really marvelous* bicycles to choose from. I think it speaks volumes about the ride quality and comfort of the Brompton bike. I agree 100% with your test ride. I liked the brompton very much, found it easy to ride and wonderful. I didn't 100% love the handlebars but other than that I loved the bike. I was looking for a fairly affordable foldie so that took the brompton off my list. I did do a mock up of what kind of brompton I would like and it was $2100! and I would want a yellow one too. 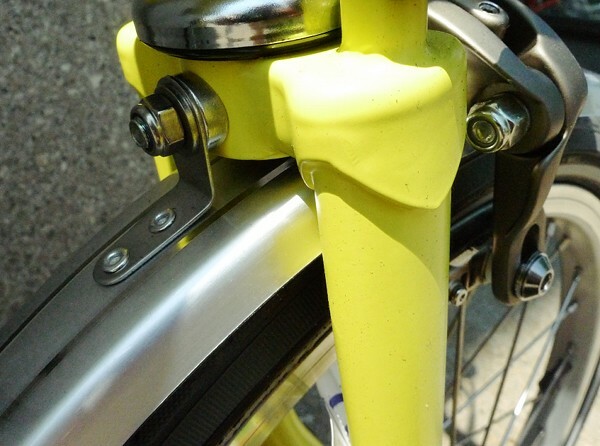 I note that the photos show a Brompton with the saddle clamp forward of the seatpost, and the bars tipped as far forward as they'll go. This is a moderately sporty setup. I enjoy flipping the clamp to get the saddle rearward, taking weight off my hands and lengthening the cockpit. Lots of adjustment possible! 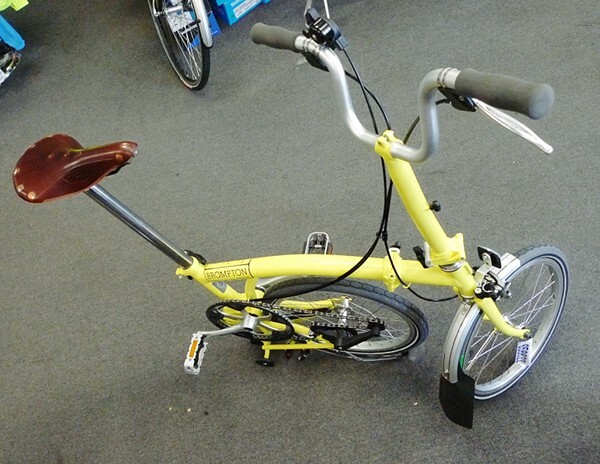 I love the idea of a Brompton - the yellow with the Brooks saddle is just beautiful! They're so, so popular here in London - they are definitely the most popular folding bikes, by a mile off, and loads and loads of female cyclists ride them. I think they're so compatible with the idea of just incorporating cycling into your life and making it your way of living. Bike parking is a real issue here and these really solve the problem. You can take them on the tube (subway) with you any time - even rush hour - for free, and you can hop on the Eurostar to Paris and take your bike with you. Amazing! And the folding bicycle in general is an incredible piece of design, I think. I also use the Ergon GP1 grips (small) on my three-year old 12-speed Brompton M6R (set up for hills and touring with a swiss mountain drive in the bottom bracket). The Ergon grips really make the difference on the wrists! Bromptons are special- I commute to work 10 miles each way on mine and I absolutely love it. The versatility is really the key, and I think that the Brompton's fold makes it more versatile than any other folder. I bring it up to my office and it sits right under my desk with no problem. If I have to work late or if it is pouring rain, I put it in the trunk of a taxi or bring it down to the subway. When I first started riding it I felt some of the twitchiness you mentioned, but now I almost crave that nimble feeling and when I ride my "normal" bike I feel less spry and maneuverable. And yes, you can get bar ends that put your wrists in a vertical rather than horizontal position. 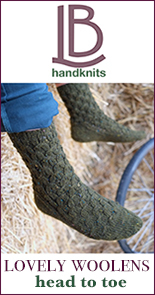 I've seen them and have considered getting a pair myself. I had a Dahon a few years ago and didn't like it. To me, it handled like a cheap bike and seemed to have the quality of one. I got one with an aluminum frame and an internally-geared five-speed hub. (I forget the model name.) One problem mine had--and, as I understand, is shared by other folding bikes--is that the shifting and braking were always out of adjustment. I think it has something to do with the cables crimping when the bike is folded. 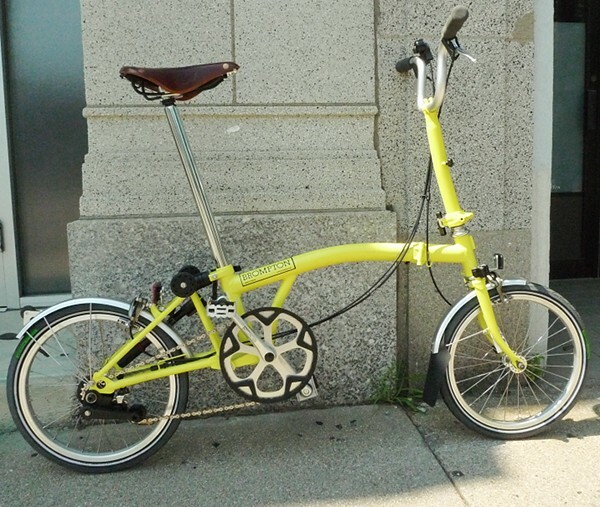 That said, if I ever were to buy a folder, or if I had a thousand dollars or so to burn, I'd buy a Brompton. If nothing else, they look better-made than the other mass-produced folders I've seen. P.S. A bike maker's name appears on a component doesn't make it proprietary. If you look at old Schwinns, nearly all of the parts are stamped or printed "Schwinn" or "Schwinn approved." But most of them were made by some well-known component maker; i.e., brakes by Weinmann or Dia Compe or derailleurs by Huret or Shimano. Some Raleighs also had parts stamped with their name, but, as an example, the derailleurs on some late '70's and early '80's bikes were actually made by Sun Tour: the same company that made the derailleurs on your and the co-hab's Motobecanes. I have one of the very first Raleigh folding Twenties from Canada, I think the date code on the hub is 7-69. I used to think it was sort of a joke but now I think it is a proper road bike for anything but racing. It handles well, is reasonably light, is tough as nails and if you want to hot-rod it you can use easily obtained in-expensive parts to do it. There are a bunch of people who really get smitten by them and do crazy milages on them. The only thing is that those who have them and really use them usually end up with the non-folding version or they take off the hinge-locking lever and replace it with a bolt and never look back. I think folding bikes are sorta like 4wheel drive for 99% of the people who have it, it's neat but not really something you need or can really use that often. There are two abandoned Da-Hons in my attic that belong to my favorite 60 year old homeless pothead. I have never once felt the slightest urge to air one of them up and take it for a spin, even though they are pretty high spec(Sachs 8speed, light custom wheels and tires etc. ), But that old army green Raleigh gets put to use quite a bit. It looks like it was built by people who liked bikes, the Da-Hons look like they were built by people who like patio furniture. That is good to know re the grips affecting foldability; I will have to see how the one person I know locally who has them deals with this. For me, the thing is that I am just not especially attracted to the idea and the looks of folding bikes, and if given a choice I prefer to ride a large bike. So the only times I'd ever ride a folder, is when traveling. 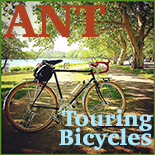 I do travel a lot, and I do start to feel like I am going bonkers without a bike pretty soon during my trips. Still, I am just not sure that I am prepared to spend over $1000 for the solution to that problem. A clear finish, 2-speed, upright handlebar solution... Not that I've given it that much thought or anything. Spindizzy: "the Da-Hons look like they were built by people who like patio furniture"
"I am becoming concerned that the path you are on is going to lead to us eventually discussing your fling with some bamboo framed,folding recumbent fixie." No danger of that; Bike Snob says recumbents aren't cool. Hoefi - I'll be cheering for you in the Brompton Championship, best of luck! Vee - If I were to ever get one, I actually really want the clear coated one. It looks so, so nice with the welds visible and the brown leather accessories. Elton at Harris rides one, and I nearly fainted of "bike envy" when I saw it. I believe his also has the titanium seatpost. Velouria said: "So the only times I'd ever ride a folder, is when traveling." You realize these comments are part of your permanent record? :-) I thought that, too, when a business trip to Manhattan in 2001 meant "folding or nothing." 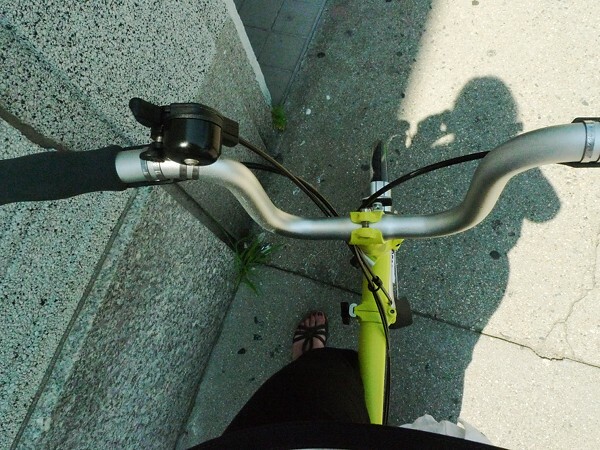 That was my excuse to buy a Brompton, which I found half embarrassingly weird and 50% 100% awesome. At the time I was steeped in all the classical lugged-steel-diamond-frame-is-best thinking, and while I still respect that thinking for the degree of truth it obtains, it's not the last word. These days, I pick my rides mainly by the amount of stuff I need to carry, and how far, and the weather. >100lbs, I favor a bakfiets. 20-100lbs and less than 20 miles or foul weather, a Workcycles Omafiets. Xtracycles split this difference. All other cases: BROMPTON, whether I'm traveling or not. The 30-years-lovely-novel aesthetics grow on you. It's not always the best tool for any job, but it makes a very, very big circle in the Venn diagram of defensible choices! Only in outlier cases do Ergon grips affect the fold. After years living with my husband's wonderful Brompton all I can say is that a household can't manage with just one Brompton! Charlotte - Oh! Does this mean we can expect a new addition to the family? 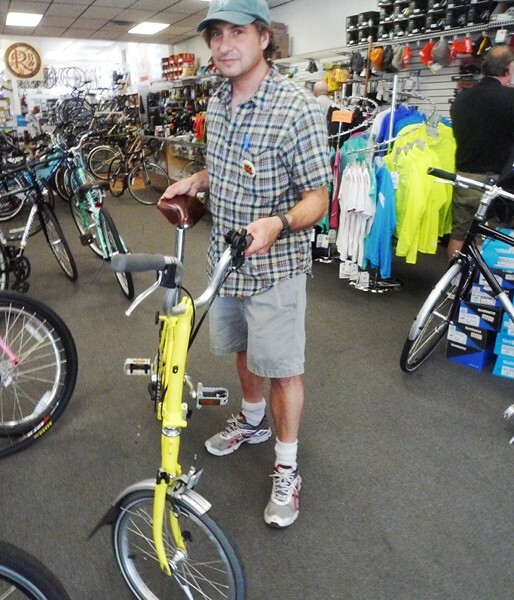 todd - No, I refuse to believe that I will choose to ride a Brompton when not traveling. Refuse, I say! Oh, I have major Brompton lust, too! I just aquired a Workcycles Oma for my 8.5 mile commute, because I loved the stable and intrepid ride and the wonderful straightforward design and flawless craftsmanship; and I felt equal to mid-town traffic on it. But I think a Brompton would have totally different fuction....a less plush ride, perhaps, in exchange for greater nimbleness; great on a day like today when the threat of thunderstorms in the afternoon means I can always take the subway home if the weather doesn't hold; great for when I have an after-work anything; great for travelling and short little trips; easy to store for an urban apartment-dweller. Apparently all the parts are proprietary/non-standard to allow for the precise engineering that makes that ingenious fold possible. Standard parts would have compromised the fold. Not that I've researched it or anything. I do suspect that the "different bikes for different needs" philosophy, so I'm sure I'd have room in my life for both! PS I typed the above a little too quickly. My apologies for the typos and grammar glitches. The Ergon GC2 grips that I installed on my first Brompton didn't affect the fold at all. The stubby extensions clear the ground just fine. The Ergon GR2 grips on my other Brompton (which I bought when I sold my car) have longer extensions, which came pretty close to the ground. Replacing the wheels on the rear rack with larger Razor scooter wheels took care of that problem. Razor wheels are wider, so you'll need to get slightly longer bolts and, ideally, nylon lock nuts (http://en.wikipedia.org/wiki/Locknut). Your local hardware store can help you with that. Because I live in Seattle and because the default gearing for the Brompton is too high for serious hills, even on a six speed model, I had my local Brompton dealer outfit both with Schlumpf Mountain Drives, which gives me six gears below the lowest default gear. I ride a lot at night, so I also added a Down Low Glow (from RockTheBike.com) to both Bromptons. The DLG increases my visibility, and cars give me a much wider berth after dark than ever before. 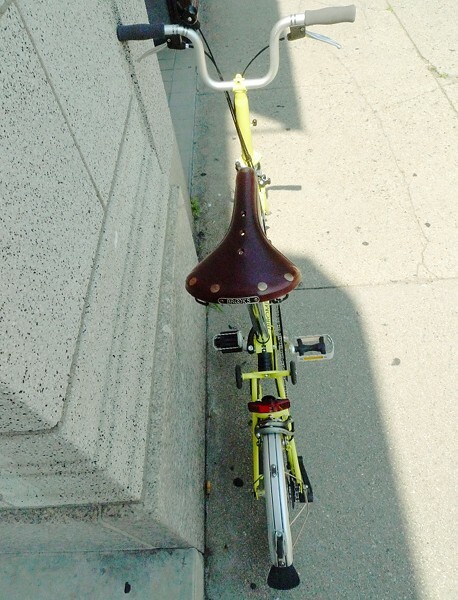 I'm a female Brompton rider--I've got the 2-speed in orange, mostly stock, and I adore it. It's zippy, fun, easy to ride, and extremely easy to store. Most recently, I folded it up and tucked it in my trunk for a week at the NJ shore. My partner and I also share a 1971 folding Raleigh Twenty, and the difference is truly amazing. The Twenty took up the entire back seat of the car, even when folded. The Brompton fit into the back corner of the trunk. It also fits perfectly under my desk. If you travel a lot, I highly recommend it. More on my handsome little Pierce Brompton here. PS, the Brompton is my primary bike. I share the Twenty and a Kona Ute (utility bike) with my partner, but the Brommie is my daily ride. I commute about 13 miles roundtrip on it. If you get one "just for travelling," you may find you use it for more than that! I had to go to one of my firm's London offices yesterday, and I saw 2 Bromptons before I had even got off the platform at Waterloo Station, another one on the concourse, and 2 more before I crossed the road in front of the station. Oh, and another passed me in front of the Royal Festival Hall. It's only when you've recently seen a post like this that you notice how many of them there are on the roads.